Just back from the Nebraska Star Party and the smaller party in SW Minnesota. 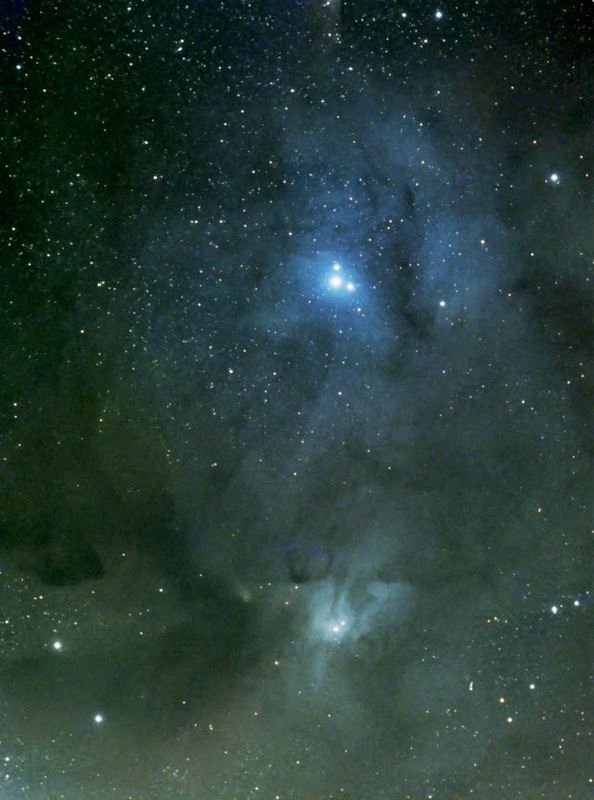 At bottom is the emission nebula IC 4603. This is about 1.5 hours of LRGB data. This will need to be reprocessed to get rid of a distracting satellite track. The image above has been reprocessed to get rid of the satellite tracks and improve the color balance. 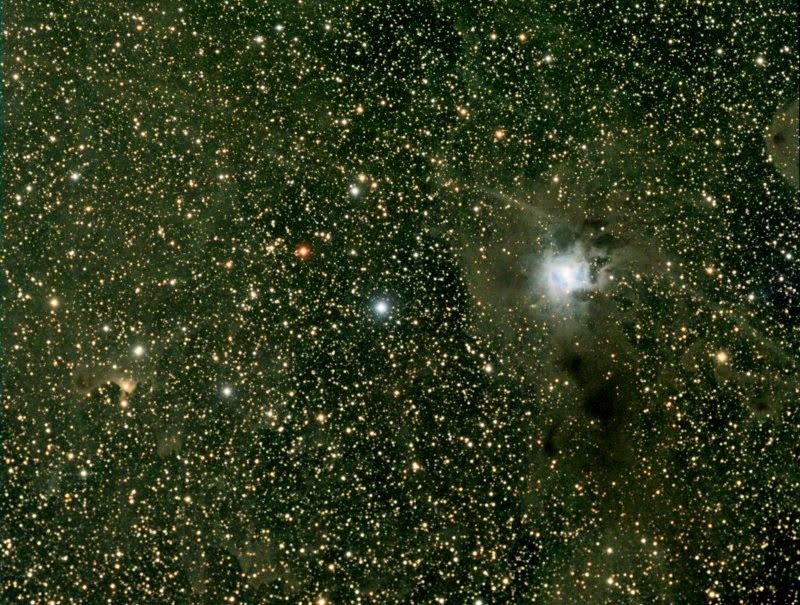 The small bright nebula at image left is Sh 2-136. About 3.7 hours of data went into this image. I'll probably reprocess this and adjust the color balance a little. It looks a tad too yellow-green to me. Still awaiting processing are the Cat's Paw nebula, Sh 2-183, and NGC 1333 (vdB 17). For those I binned the color channels 2x2, and I need to shoot some dark frames to match. More about NSP 2014 in a subsequent post.